27.2 Why Are You Looking For Life In A Cemetery? The “Fourth Week”: Week Twenty-Seven/Session Two. 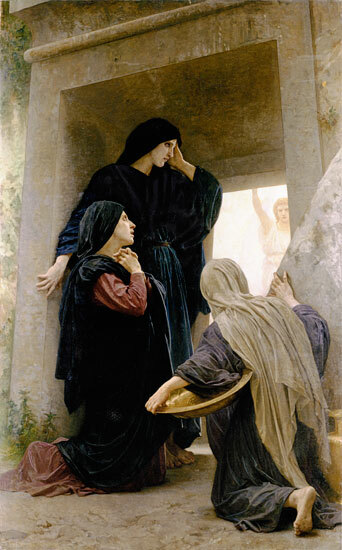 Theme: The Resurrection of Jesus Christ. Our reading for today: Luke 24: 1-8. Thus the little wise crack here that pokes a bit of fun at these poor, confused human beings who are searching in a cemetery for any signs of life! “Why in the world are you here looking for life? Doesn’t anybody down here know better than to look for someone living in a cemetery! Oy vey! You know, now that I think about it, it does look a bit foolish doesn’t it? I guess I can see why these angelic beings are just a bit amused at how backward thinking we humans can be sometimes. Maybe if we’d just listen to God a bit more carefully and actually believe and act on what He says, we’d spend much less time in cemeteries and much more time in God’s presence, where real life is found.